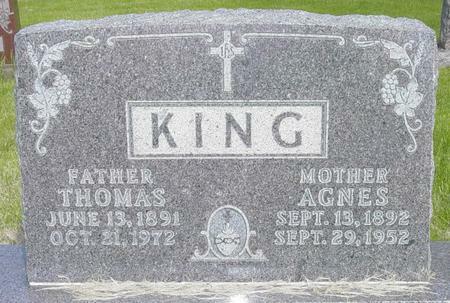 Thomas KING was the son of Hugh H. and Ella (FINNEGAN) KING. Agnes MALLOY was the daughter of John L. and Mary (LYONS) MALLOY. Thomas and Agnes were the parents of six children. Searching for AGNES KING in Chickasaw County Iowa?